Mr. Comley concentrates in the practice area of public utility law and the regulation of telecommunications, electric and gas utilities. He practices regularly before the Missouri Public Service Commission. He has been involved in the day to day regulatory activities of the utilities he represents, as well as the regulatory approval of major corporate events such as mergers, acquisitions and financings. In addition to his regulatory practice, he appears before the Administrative Hearing Commission on behalf of individuals and agencies on such matters as sales and use tax appeals and automobile licensing issues. He also represents contractors in the building and construction industry. Mr. Comley began his legal career with the Missouri Attorney General's Office, practicing there from 1980 to 1982. He then joined a private firm where he remained until he joined with Mr. Newman and Mr. Ruth to open this firm in 1993. Mr. Comley served as Treasurer of the Trustees of the Missouri Bar from 2000 to 2007, and has been a member of the Board of Governors of the Missouri Bar from 2007 to the present. He is a Past President of Jefferson City Rotary West Club and a Paul Harris Fellow. Since 2010 he has served as a member of the Board of Trustees for Missouri Baptist University. 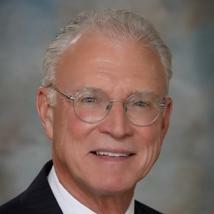 Mr. Comley graduated from William Jewell College in 1977 with a Bachelor of Arts degree in Political Science. He attended the University of Missouri-Kansas City School of Law and graduated with distinction in 1980. Born in Quincy, Illinois in 1952, he and his wife have two children and have been residents of Jefferson City since 1980.